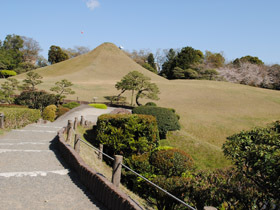 Accessible tourist mini bus (Shiro megurin) runs Kumamoto castle. There is a long ramp road without any stairs from the parking and bus stop to the castle tower. Wheelchair users can reach the castle tower, but cannot enter it. 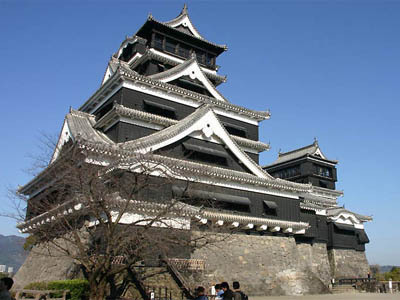 Kumamoto castle still remains the originality, so it is impossible to remake it. No problem to visit on wheelchair. The trails in the park are accessible. Typical Japanese souvenir shop street in front the park. Tram station near the park is accessible. 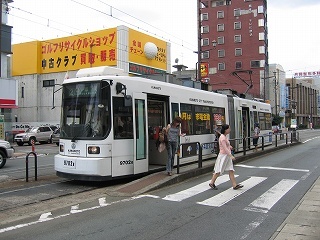 The number of lower floor trams is few. Wait for the accessible tram comes. Some lower floor tram run, but limited numbers about 1 wheelchair accessible tram per hour. Many tram stops are tiny. The wide of 19/35 tram stops are less than 100cm. It seems so difficult to use on electric wheelchair. We hope that half of trams become lower floor. Huge Caldera (18km long, 25km wide). One of the best drive course in Japan. Just enjoy the view from car or parking area. No accessible walk to the volcano. 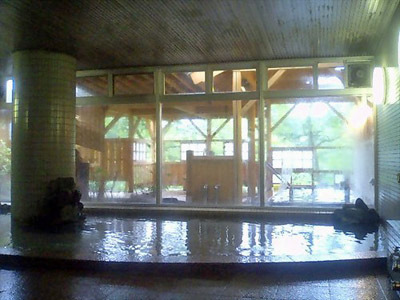 Onsen, farm, hiking, and outdoor sports. here.